Please note that we currently use PayPal for these transactions. If you do not use PayPal, or you do not wish to open a PayPal account at this time but would like to donate towards our Revival Tent, please contact us directly at 915-988-2450. Thank you! Praise the Lord we have purchased our 30’ x 50’ revival tent! We should have it out at our ranch before the end of the month and on the road next Spring. Right now, we have plans to take it to Elberton, Georgia; Cottageville, South Carolina; East Hampton, Connecticut and Northfield, Vermont. At present, we still have to purchase folding chairs, the materials we need to build our portable platform and pulpit, and other assorted odds and ends. Every bit helps. If you are interested in joining in the support of this project, know that every little bit helps. If you wish to cover all of the expected costs, know that a one-time donation of $3,500.00 should be sufficient to make our new tent fully operational. Please keep this project in your prayers and we’ll update you as we achieve new milestones. Thank you. If you would like to donate towards the Revival Tent project please click on the links above. Brother Richard always used to say that the Lord loved a tent. From the tabernacle of witness where the children of Israel worshiped from the time of Moses until Solomon built the temple, the Lord bore witness to His love of tents. 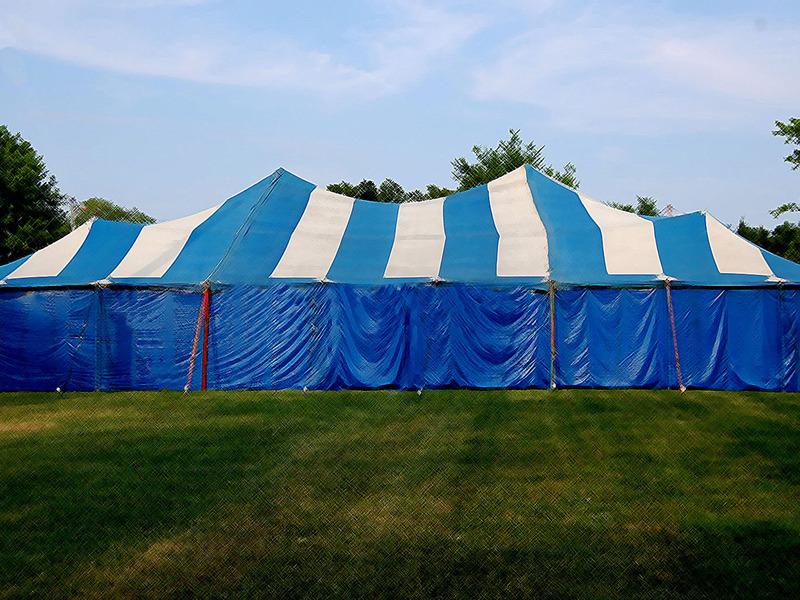 For many years, we had a 30′ x 50′ Revival Tent. It was a great blessing and we took it to many places through the country. After a few years off from an active tent ministry, we are now in the market for a new tent. A one-time $7,500.00 donation will be sufficient to purchase the tent we have in mind, pick up folding chairs and build our portable platform and pulpit. Our hope is to purchase the tent this Fall so that we can get it set up and begin working the kinks out with the goal of taking a team out on the road in the Spring of 2018.